Host1Plus web hosting company announced few day ago it has launched cloud web hosting solutions. Currently this offer available in beta testing mode. Host1Plus spended over one month for deployment of hardware and software systems for Cloud Servers infrastructure. Together with beta Cloud web hosting company Host1Plus will also offer MaxCDN service and advanced dotDefender firewall security with a full bundle license. All the features will be offered completely for free during first 3 month of beta test period. “There are no any other cloud web hosting providers who have offered anything in the realm of what we are offering in the beginning of July . 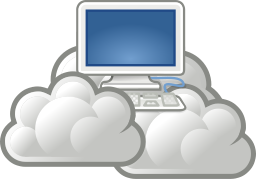 We believe that our beta Cloud Server will be an enormous success. With beta testers stress testing our system we will be on top of any inconsistencies which may arise ensuring that we return the best quality product to our customers.” says Vincentas Grinius Host1Plus co-founder and CEO. Host1Plus web hosting company plans to integrate additional cloud specific products, giving them the competitive edge of a one stop shop for cloud and hosting services. For Information on how to apply as a beta tester can be found on the Host1Plus community forum. Host1Plus.com provides various web hosting solutions including shared hosting, Beta Cloud VPS hosting, domain name registrations in various tld’s, SSL certificates and business tools to ease website control, scalability and maintenance. Primary office of Host1Plus web hosting company located in London, United Kingdom. They also have operating office near Kaunas, Lithuania. Host1Plus web hosting company also known as charity company that provides free hosting solutions for small non commercial websites and enterprises. Host1Plus web hosting has teamed with professional data centers around the world, specifically UK, Netherlands, Singapore, Germany and even Lithuania.